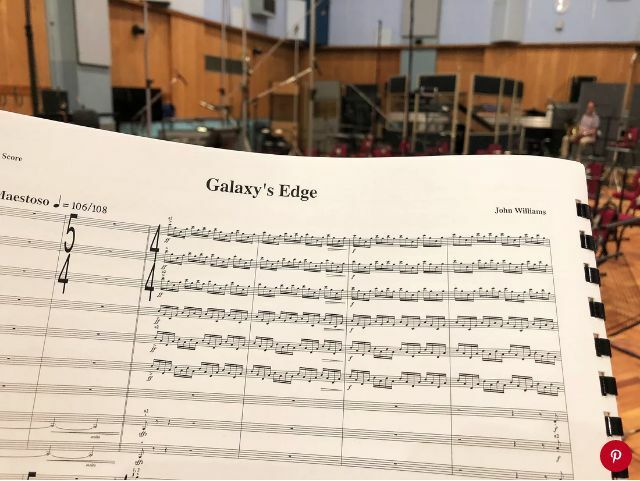 Wanna Hear John Williams' Disney Star Wars Parks Music?!? 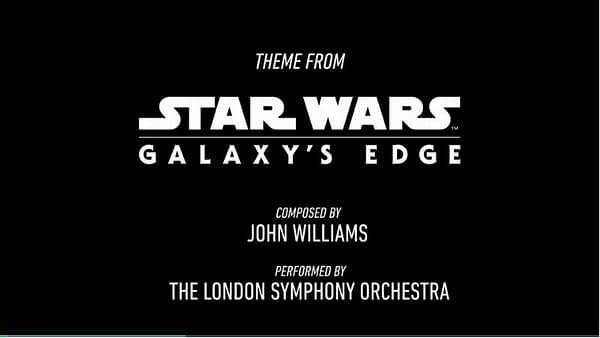 Home » Film » Wanna Hear John Williams’ Disney Star Wars Parks Music?!? 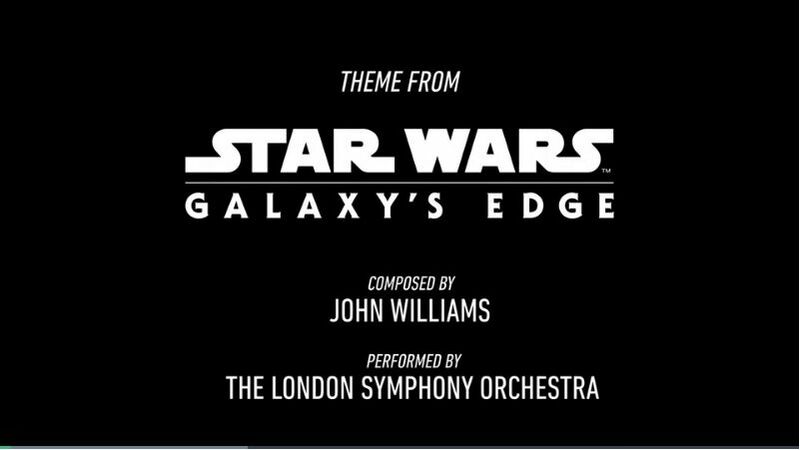 Wanna Hear John Williams’ Disney Star Wars Parks Music?!? As the time gets closer for Disneyland and Walt Disney World to open their Star Wars themed Galaxy’s Edge lands, we’re getting more tastes and teases as to what awaits us there. Entertainment Weekly just debuted [exclusively] a series of pieces of music from the great Maestro John Williams, composed for Black Spire and the new Cosmic Conflict locations. This first video features Williams’ theme for the dual themed lands, and a new video look at what’s in store in Batuu, the planet travelers will visit when the lands are completed. There is also “Smuggler’s Run”, which will be featured in the new “Rise of the Resistance” attraction. Guests will experience what it’s like to be caught in the crossfire of a deep-space battle between the First Order and the X-Wing dogfighters of the Resistance. EW says this video was taken inside the finished interior of the ride, which allows visitors to explore the hangar bay and control deck of a First Order destroyer. The outlet goes on to say that according to their sources, at some point in the ride, visitors will come face to face in battle against Kylo Ren. Next we have “Rise of the Resistance”, which is featured in a video showcasing the Star Wars-themed hotel opening at Walt Disney World in Florida. Both parks are still currently under construction, and are expected to make their 2019 opening dates- Summer for Disneyland in Anaheim and Fall for Florida. Star Wars: Galaxy's Edge is Getting Tie-In Novels Too! Preview of Star Wars: Galaxy's Edge from Disneyland! Star Wars: Galaxy's Edge Tour Airing on ABC on Christmas Day! Star Wars: Galaxy's Edge Disneyland- The Falcon is Done! Star Wars: Galaxy's Edge Toydarian Plushies Are Too Cute!